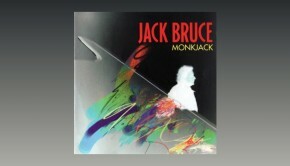 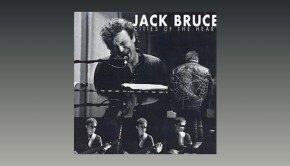 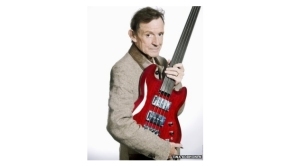 Jeff Berlin announces that he has teamed up with Pledge Music for the release of a tribute album dedicated to the late Jack Bruce. 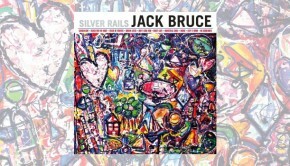 Songs For The Wailer will feature re-worked versions selected from Jack’s vast catalogue and includes guest musicians Ginger Baker, Allan Holdsworth, Paul Shaffer and Chad Smith – although it is anticipated that more will be added as the project develops. 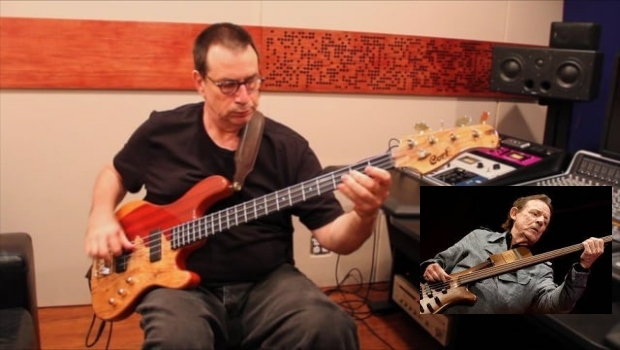 Jeff Berlin PledgeMusic from John McCracken on Vimeo. 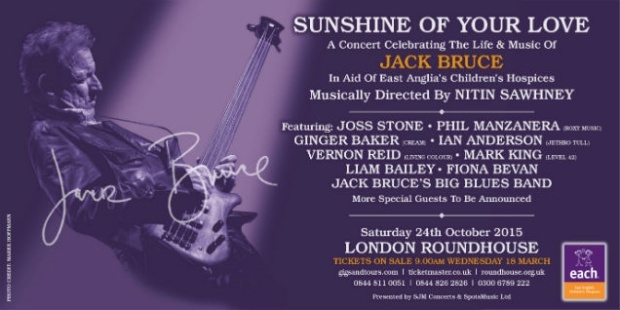 Next month also sees the ‘Sunshine Of Your Love’ special tribute concert for Jack at London Roundhouse on Saturday 24th October and in aid of Jack’s favourite charity, East Anglia’s Children’s Hospice (EACH).